Hello everyone! 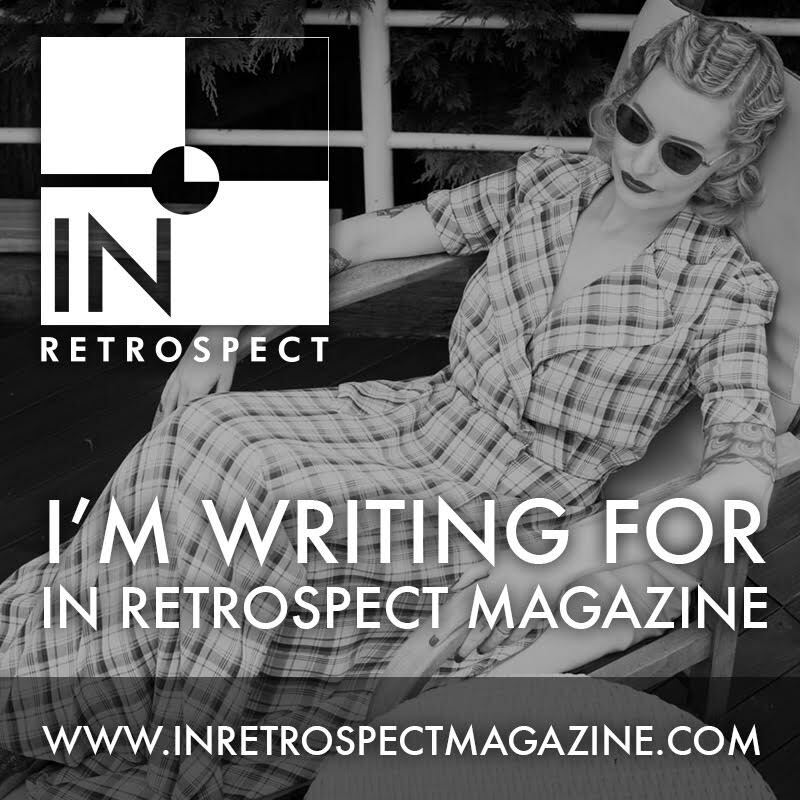 Welcome to my new followers, and thank you to everyone who kept up with reading my blog posts when I was on holiday in Spain. It was a truly wonderful holiday, though I have returned with a pot belly from all the wine and tapas, and a jelly-fish sting on my leg. 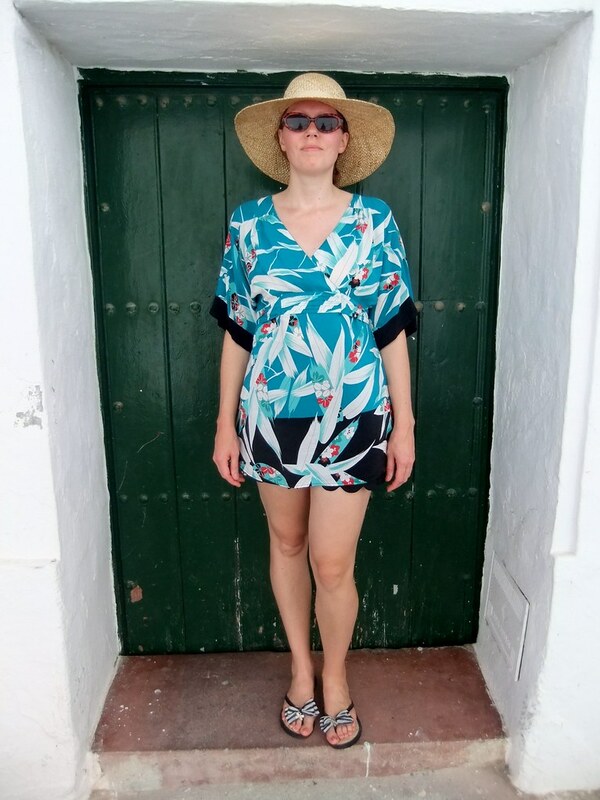 Today I want to share what I wore on holiday, and also what I didn't wear, because that's given me some 'rules' to keep in mind for future trips. 1) Beachwear: bikinis, sarongs, flip flops, beach bag and a huge hat. 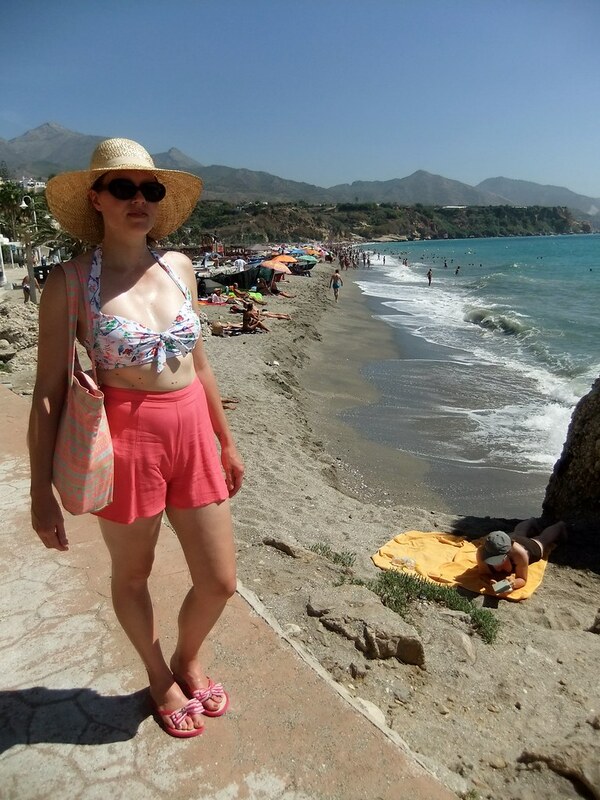 I took one bikini with a 'skirt' bottom, but didn't realise that it was slightly too big, which meant that when I came out of the water the weight of it nearly pulled it off!! So I only really had one functioning bikini. I took 2 pairs of flip flops, which worked well, but I could also have done with an extra sarong. The one I took was really a scarf that I used on the plane, but it's so sheer it doubled up in use. Could definitely have used another one of those. 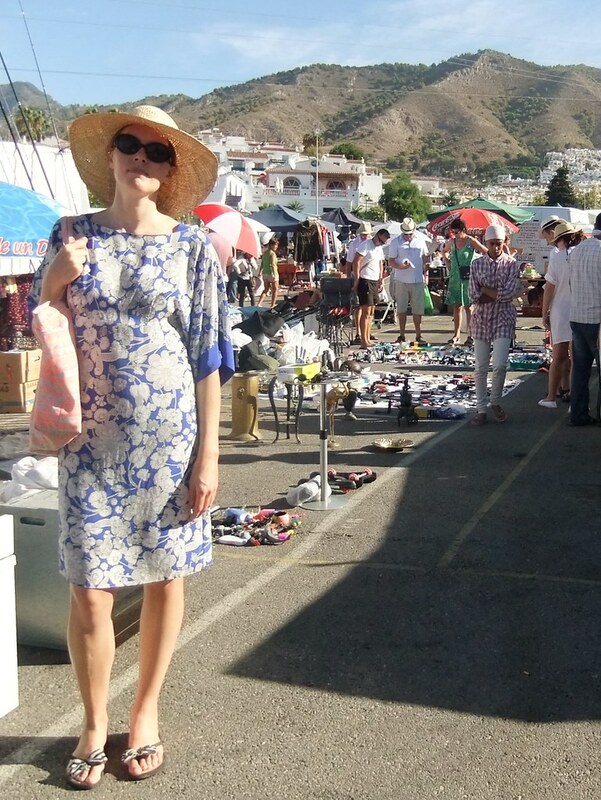 The best investment for the beach was my massive straw hat, that my Baby bought me for 50p! It was like my own portable beach umbrella. 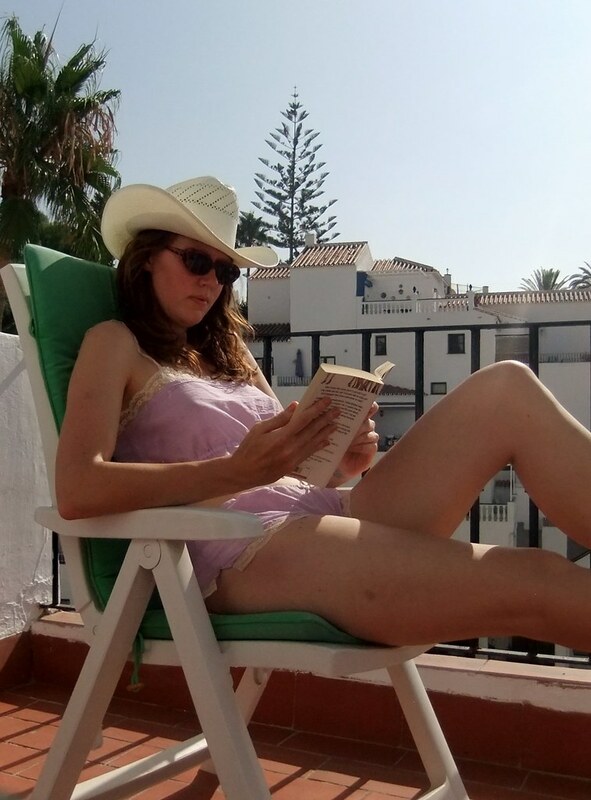 Also here, it might be worth mentioning that I had 'around-the-apartment-skimpy-wear' too, for when it was too hot for clothes but my bikini was drying out from an earlier swim. I made good use of little bralets and shorts, in silk and cotton. 2) Walking in the heat of the day outfits: cover ups. We tried to relax and sit in the shade when it was super hot, but it's inevitable that you will need to take a walk to the supermarket, into town, or head to the market. I burn easily, so in these situations I need to cover up, and also you end up very sweaty, so clothing needs to be loose to allow your skin to breathe. I had taken a little pair of trainers but they were just too hot to wear and I ended up walking in flip flops. The massive hat came in handy again, but I also took some silk, loose tunics that were great, as well as a little shirt in really light cotton. I had taken some cropped t-shirts that I thought would work with my high-waisted shorts, but alas they were just too tight, and the neckline was too open. I also had taken some little vest tops that I only ended up wearing around the apartment, because again they didn't cover me up enough. I am going to look out for some more silk tunics for next year and perhaps another little shirt. 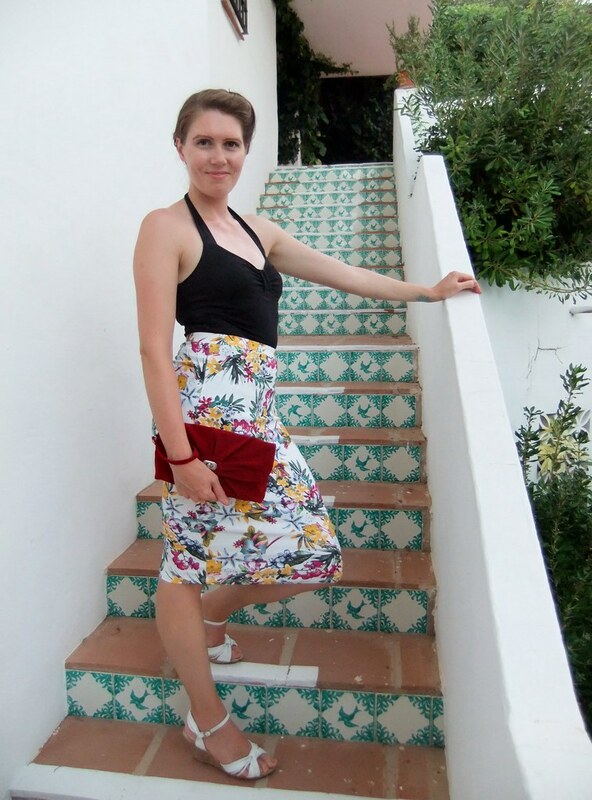 I am pleased that I took my comfy wedges for evening, as we still ended up walking a fair bit, and some of the streets were cobbled - spiky heels would have been dangerous! 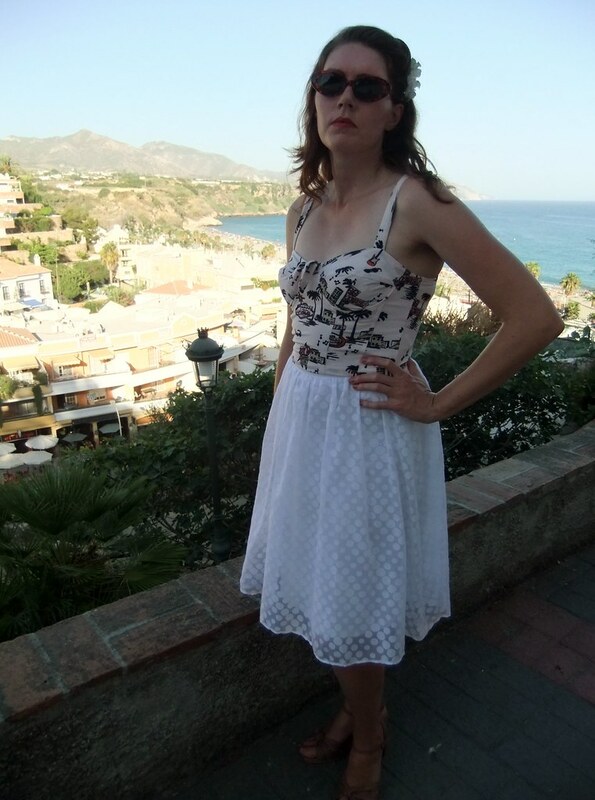 I took a selection of dresses, which all worked just fine, and also two skirts with a couple of tops. I had flower hair accessories to finish, and a little clutch bag. This all worked well I think! I did take 3 cardigans though, which were completely redundant. So, to recap on what was completely pointless in me taking on this last trip: Trainers, tight day tops, strappy day tops, cardigans. Oh, and add too many knickers to that too. And the real heros were: Massive hat, sarong, coverups. What are the chances of me remembering all of this next year? Have you learnt anything about holiday packing this year? 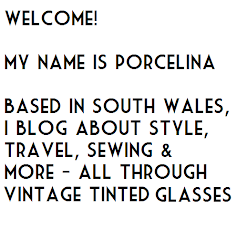 Are you a 'capsule' wardrobe packer, or are you like me and try to take everything?! I love your tunics and that gingham top is so cute! 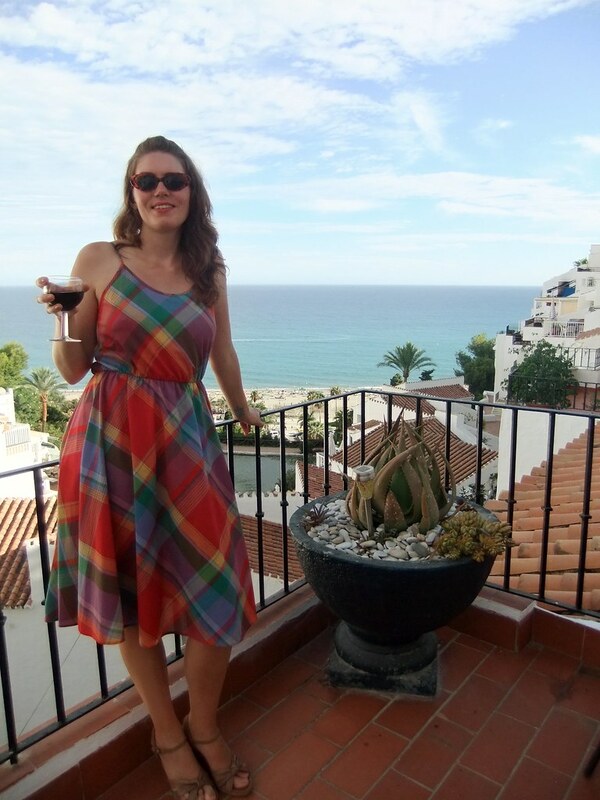 As are your evening looks, and I love your lounge wear and sarong!! 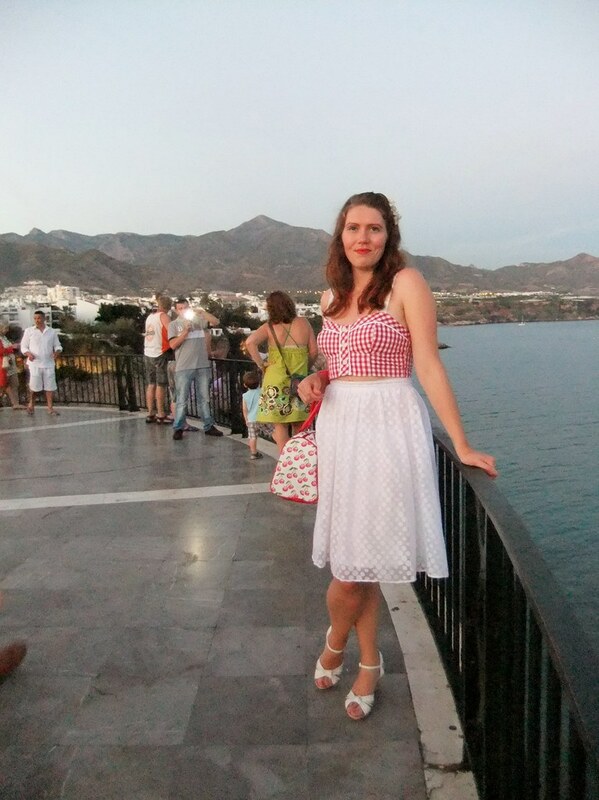 I haven't really gone on holiday too much since I've started wearing dresses almost exclusively when I'm not at work... I went on a trip a couple years ago to visit family in Florida and did find packing so much lighter not having to worry about packing jeans and sneakers. I like how dresses, leggings and flats take up so much less room! Now that I tend to enjoy more poofier swing dresses I'm not sure how the packing will go though. That Jaeger tunic is lush. 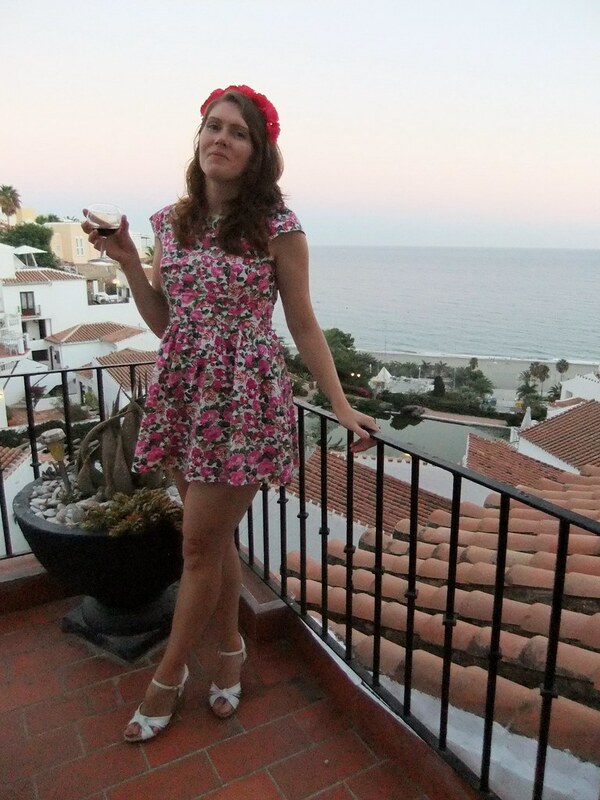 I always dress nicely for Spain - we tend to go inland, and the Spanish are usually extremely well dressed. 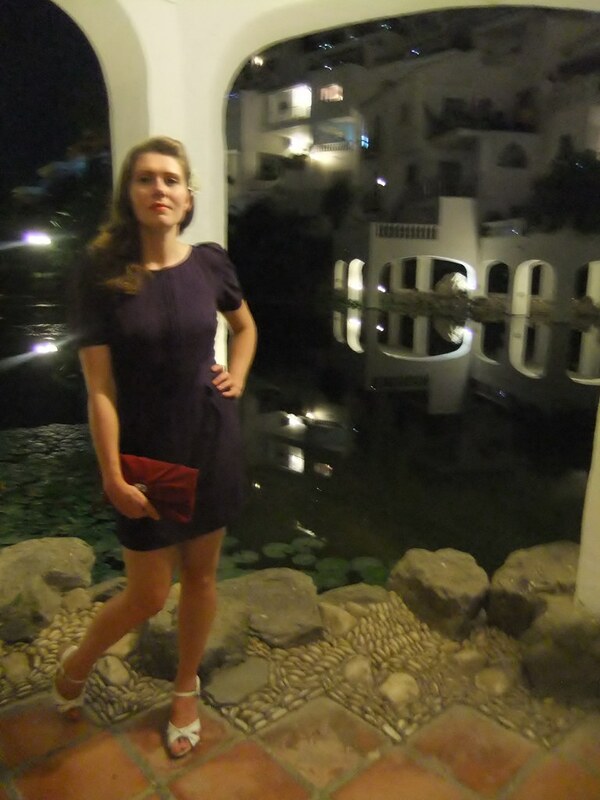 I went to Burma last year and luggage space was limited - I managed the whole holiday on two pairs of trousers, a couple of T-shirts and a dress, and used hotel laundry when needed. The only lesson I learned there is that in Burma, you only need flipflops, 'cos you'll be taking your shoes off all the time to go into temples etc, so there's no point wearing anything else. I am a notorious over-packer on trips. Oh my goodness, you poor dear, I'm really sorry that you got stung by jellyfish. I hope you're starting to feel on the mend from that awful experience now. Wonderful travel ensembles! I'm going to be starting to pack for our upcoming fortnight to Vancouver Island this week and will lots of cute separates, too, so as to get the most bang for my suitcase buck (we have a very small trunk and can only take one suitcase a piece, so creating a mini capsule wardrobe for two weeks is a must). 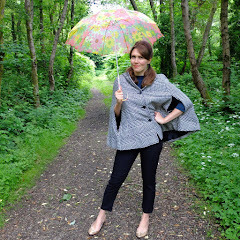 I hope you've managed to whittle down a capsule wardrobe - it's really tricky! It looks like you had a fabulous time! Maybe I should start planning a warm weather vacation for January or February, when the weather here is making me want to hibernate until spring. I'm actually a pretty good packer. I usually plan out my outfits in advance, with a couple of staple pieces that can work with more than multiple outfits, as well as a few one off special pieces that I can't resist bringing along. I might overpack just a little, actually - I try to bring one extra "just in case" outfit for if the weather isn't what I expected, or something happens to something I'd planned on wearing. LOVE the lace cami and shorts picture out on the balcony!! Sexiest picture ever! 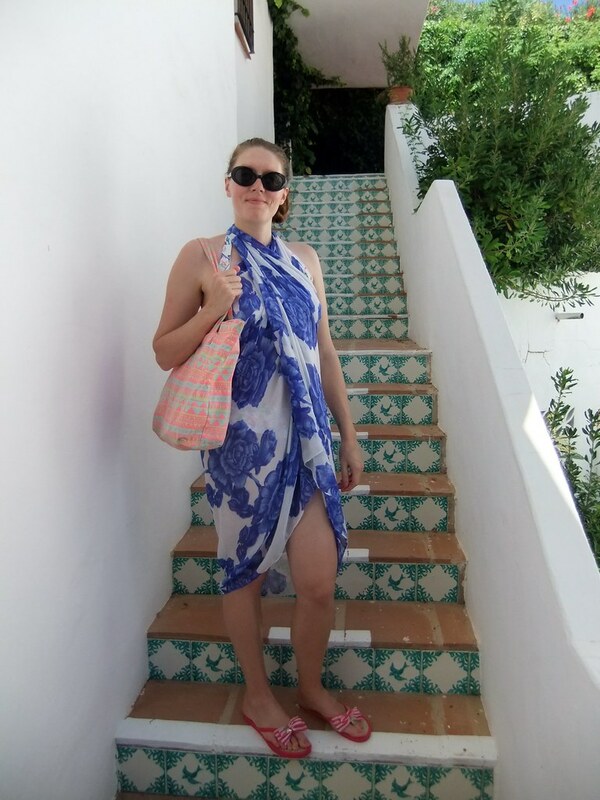 I tried to be a capsule packer this summer, only taking a cabin bag for 12 days but found myself relying on similar items and totally ditching things i thought I'd defo wear. I've come along way from being 7+ kilos over every time I travelled though! Amazing pictures and outfits, Porcelina. I love the floral pencil skirt, gingham red bikini top, the blue floral cover-up, the turquoise floral silk tunic, the red bow sandals and the white tulle midi skirt. Such gorgeous pieces. Can I have your closet? I'd love for you to stop by and see how I am remixing my closet all this month of September. Thanks so much. Happy Wednesday! <3 Ada. I love all your cover ups and skirts. I am the same when I go on holiday...bringing things that I never use. I hope to see you tomorrow for my TBT Fashion link up.